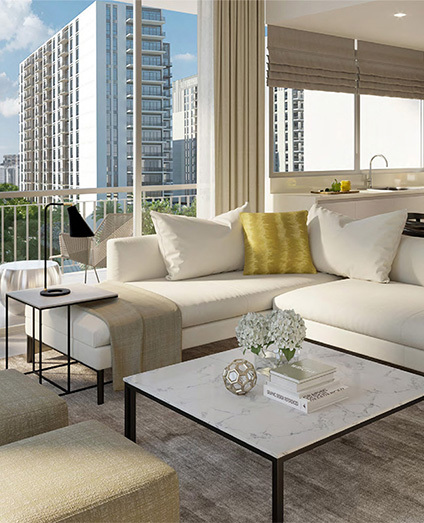 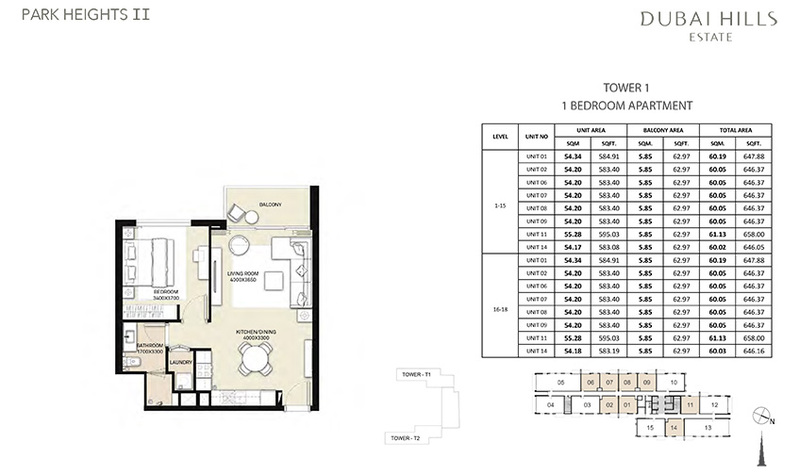 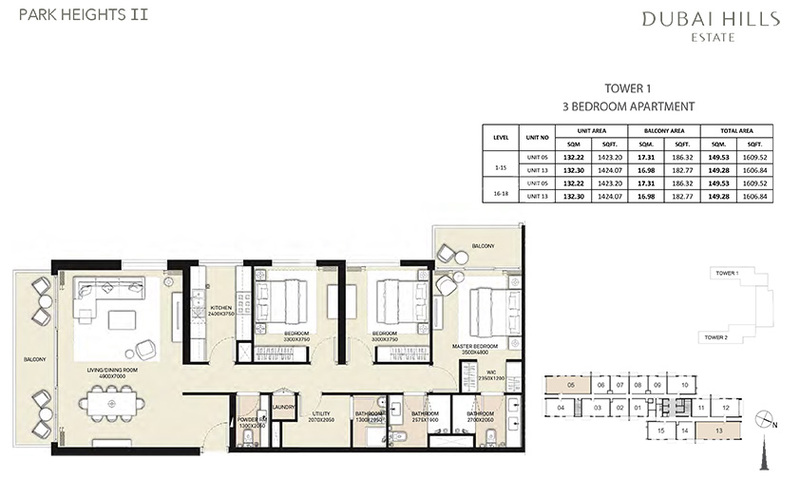 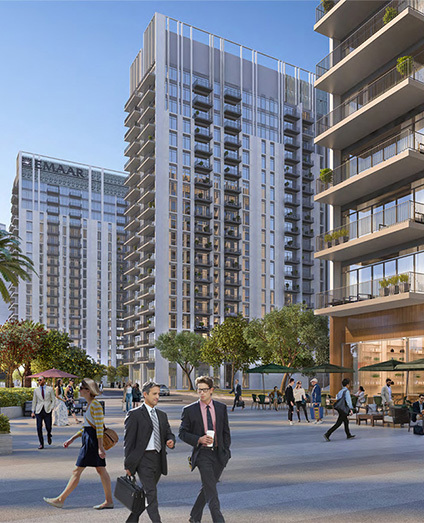 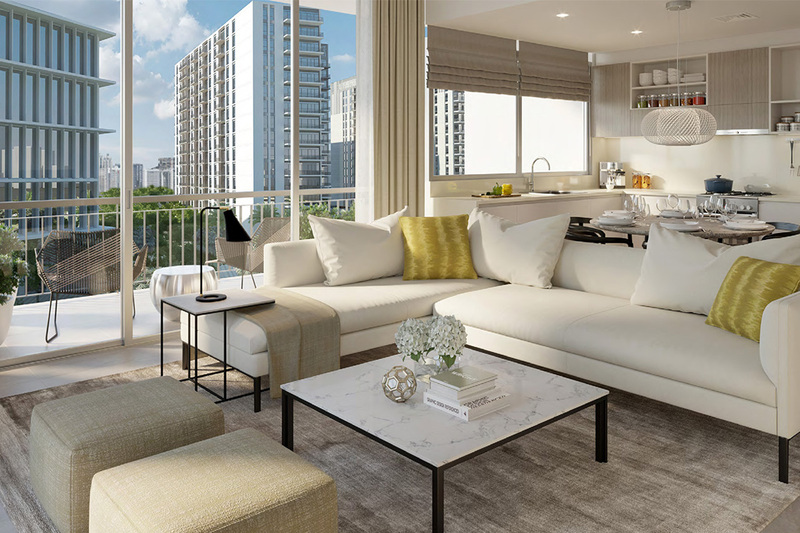 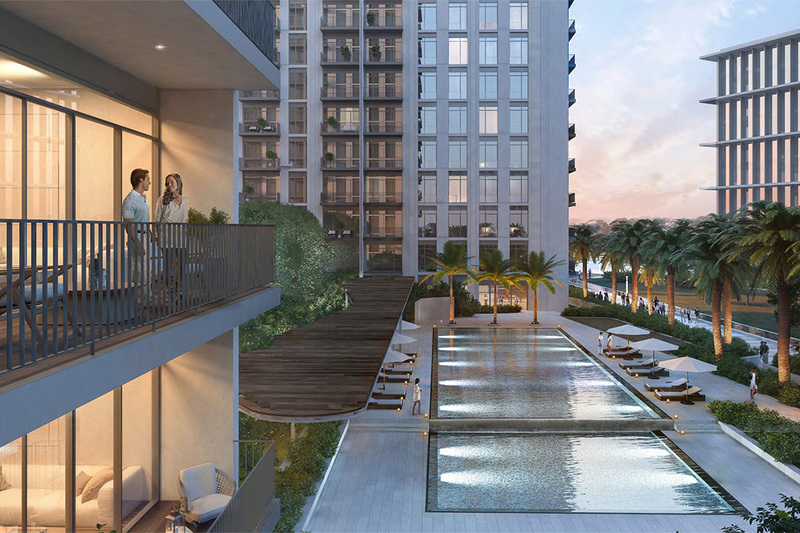 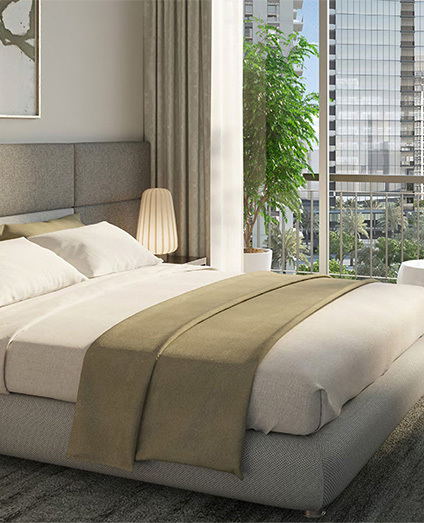 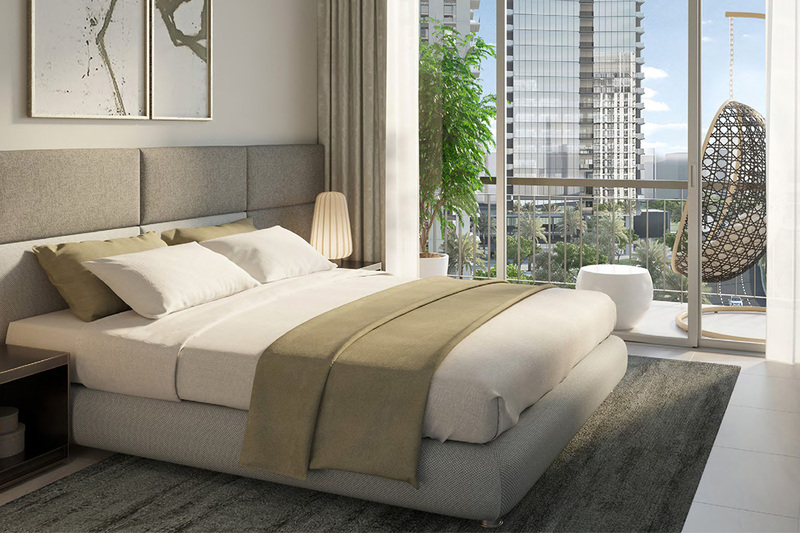 Emaar introduces an residential resort community with 18-storey building Park Heights II at Dubai Hills Estate which includes 1, 2 and 3 bedroom apartments. 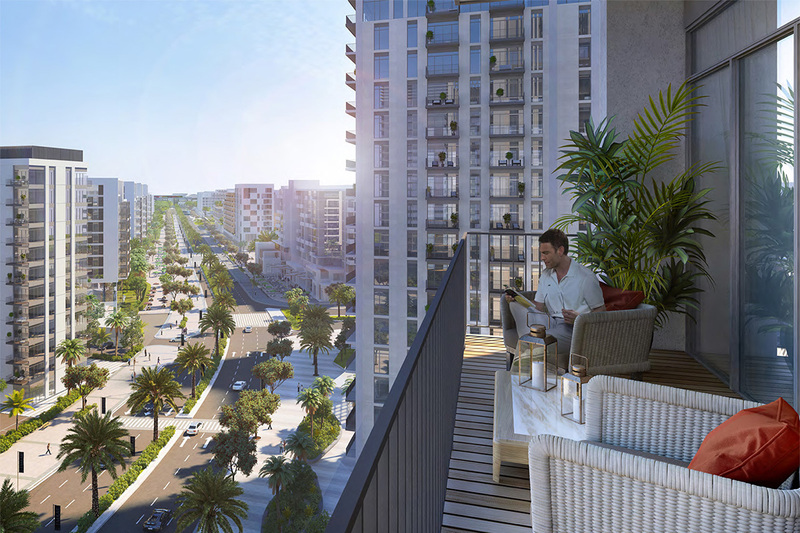 Park Heights II at Dubai Hills Estate is a residential building which offers past handover payment plan, 60% during the construction and 40% post handover construction. 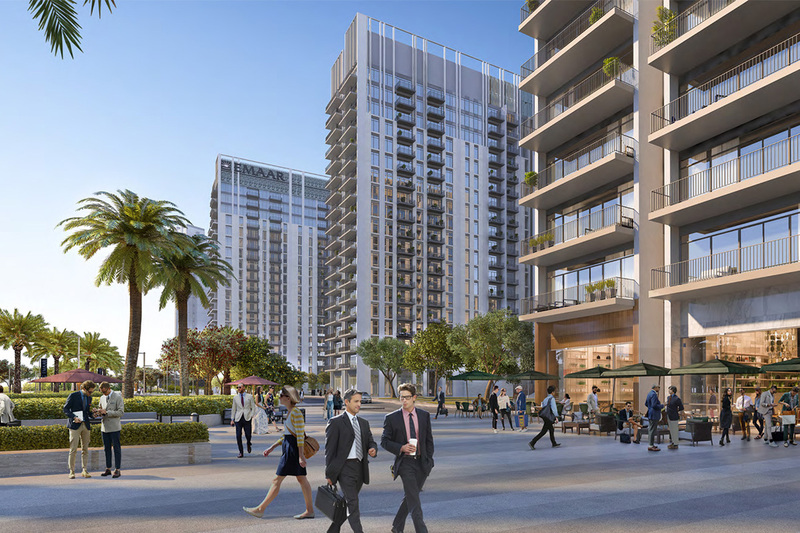 Emaar Park Heights II is an incredible project overlooking landscaped parks and offering world class amenities like: The Central park, Dubai Hills Estate Mall and the main boulevard. 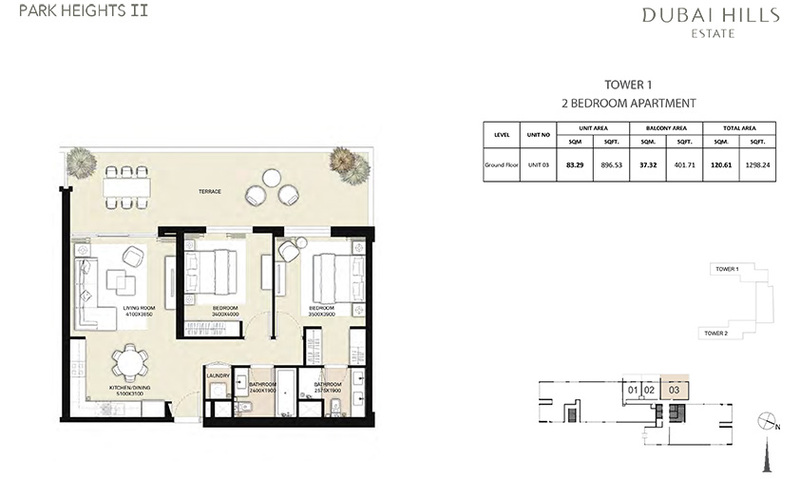 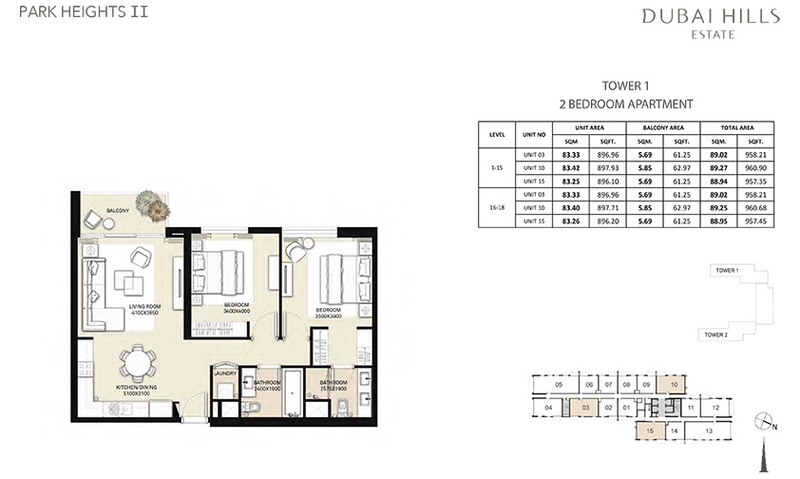 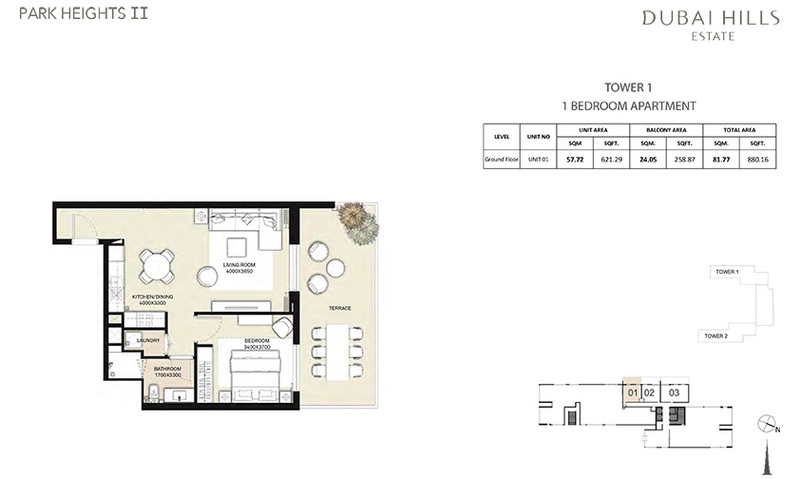 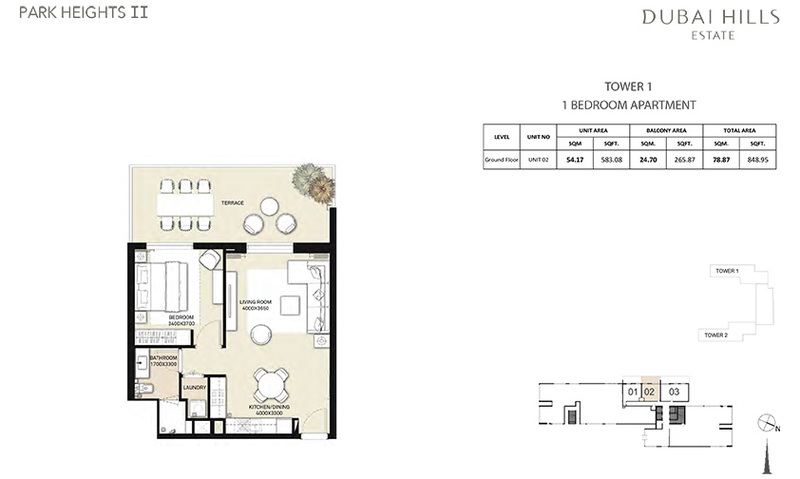 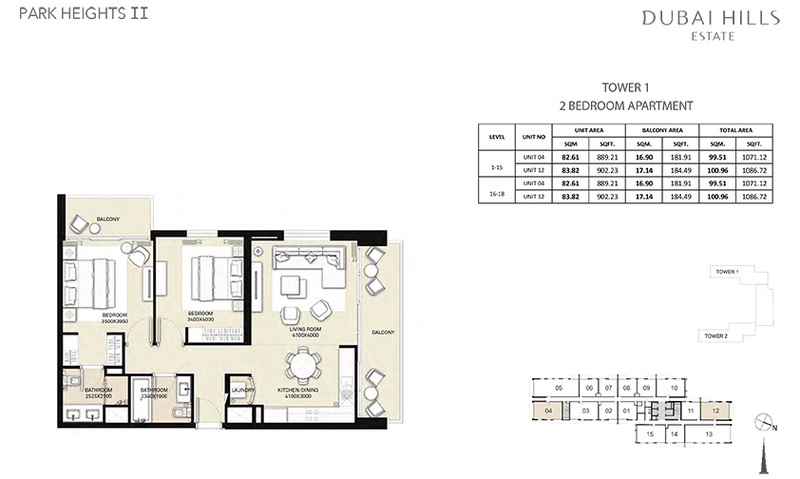 It also has unobstructed views of Burj Khalifa and Downtown Dubai. 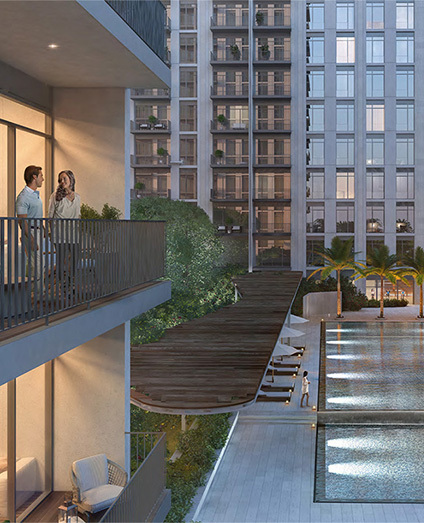 Retail stores, F&B outlets, multipurpose room, outdoor infinity edge pool, kids’ pool, kids’ play area, indoor gymnasium. 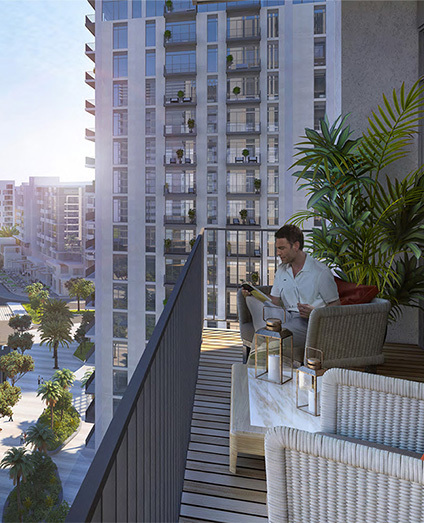 Park Heights II residential resort community is available with luxuriously decorated 1, 2, and 3 apartment, where 1 BHK apartment is available in 880 sq ft, 2 BHK is available in 1298 sq ft and 3 BHK is available in 2 1607 sq ft.
Park Heights II apartments are situated in Dubai Hills Estate near to the central park, 12 minutes away to the Jumeirah Beach, residents will reach to Al Maktoum Airport only in 35 minutes, and in 20 minutes Dubai Intl Airport will make you fly to any part of world.